Created specifically for the IOA show Art of the Scooter. 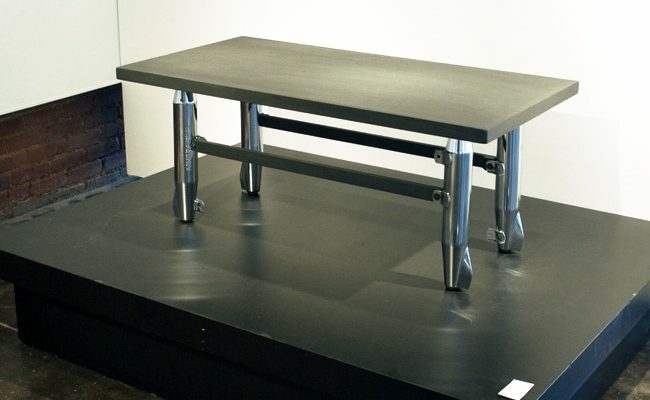 Made with 4 real Harley Davidson tailpipes for legs, this table pushes the cool factor. Just another way we like to push boundaries and use unconventional materials.